After years of enjoying online news for free, major media publishers are now pondering making New Zealanders pay. But will we cough up? And what will we want for our money? A story in Christchurch’s daily paper The Press last week startled some longtime readers. The boss of the company that publishes the paper was quoted as saying he couldn’t guarantee that they’d still be printing it just five years from now. By then, according to Greg Hywood, CEO of the Australian-owned company Fairfax media – all the news that’s fit to print may only appear online. And that would be a big change not just for The Press -- but also the Dominion Post, Sunday Star Times, Southland Times, Waikato Times - and the many other New Zealand titles owned by Fairfax Media. It’s far from the first time Mr Hywood has spoken about the impending demise of printed papers but the problem is that the news industry is struggling in the online environment. For every dollar that is gained in online advertising, several are lost in advertising revenue from ads in print. For years, Fairfax Media has been making its news available online for free but across the ditch Fairfax's big name papers The Sydney Morning Herald and The Age in Melbourne began charging readers for the privilege by putting up paywalls last year. Recently Fairfax - and APN News and Media, which own the NZ Herald - have both hinted at pay walls here in the near future. Just last week, the NZ Herald reported APN has the nuts and bolts in place for its nzherald.co.nz site - but it hasn’t decided just how the pay system will work, what it will cost customers or, crucially, when it will be launched. And Fairfax Media also seems to be hesitating. But even if it’s a matter of when rather than if the paywalls are put up: how much will New Zealanders pay for online news? And what will they be prepared to pay for? Alex Clark (pictured right) studied digital media in the US and is now running a project called "News, Renewed" at Victoria University’s Advanced Technology Enterprise programme to find strategies for the news media to make money online – and fund quality journalism into the future. 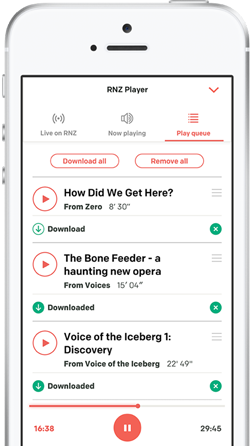 Alex Clark talks to Mediawatch about paying for online news - and a new system to make it work for subscribers and the publishers alike. Only a handful of the 457 people he surveyed said that they would definitely subscribe to a single New Zealand news website, and not many said they wanted a package of national news websites either. But more people were willing to pay for an online package of national and international news – and even more liked the idea of such a package bundled with music or video services. Mr Clark also found the amount people were willing to pay at least ten dollars per month also increases if news from several publishers is packaged together. His findings also challenge the assumption that digital natives – those who have grown up accustomed to free news online -- would never want to pay for it. “In my survey 18-30 year olds were the most likely to purchase a package of global news. The younger generation is familiar with consuming news from many sources. They don’t trust just one source. “They’re the least likely to have a print subscription. However, today you can still illegally download all you want but 18-30 year-olds are the most likely to pay for a music subscription such as Spotify”. 18-30 year olds, willingness to pay for news. Across the board, paying a fee for each article – so-called micropayments - was the least popular method. Mr Clark says this shows publishers should share a platform to attract paying customers for their news and journalism – and he’s now designing one for paying subscribers to create one account to unlock the content of several publishers. It could also measure subscribers’ use of the content to fairly distribute the income back to the publishers. “People do want a package of media and it will create a bigger pool of revenue for the entire industry than companies can create by trying to do it alone”. Persuading big name publishers to buy into such a system won’t be easy – but Mr Clark says it offers them the chance to see if opting into to such a system brings in revenue they wouldn’t otherwise get. Shortly Mr Clark heads to the US to gauge interest in his idea. And for Alex Clark – it’s also a personal mission. Before he embarked on all this, he had first-hand experience of the market realities of publishing in the online age as editor of the national publication for secondary school age kids, Tearaway. 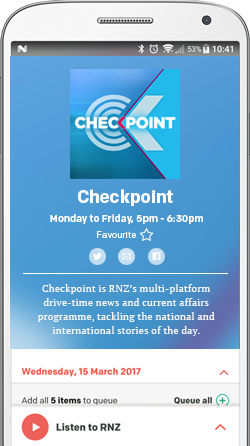 Listen to more on Mediawatch at 9:05am and 10.12pm on Sundays on Radio New Zealand National.